The first thing I remember being said of me with any consistency was that I was intelligent-and I recognized even then that it was a comment leveled at me with as much disapproval as admiration. Still, I never tried to hide or suppress my mind as some girls do, and thank God, because that would have been the beginning of the end. From childhood, Katherine knows she is different, and that her parents are not who they seem to be. But in becoming a mathematician, she must face the most human of problems-who is she? What is the cost of love, and what is the cost of ambition? On her quest to conquer the Riemann Hypothesis, the greatest unsolved mathematical problem of her time, she turns to a theorem with a mysterious history that holds both the lock and key to her identity, and to secrets long buried during World War II in Germany. Forced to confront some of the most consequential events of the twentieth century and rethink everything she knows of herself, she strives to take her place in the world of higher mathematics and finds kinship in the stories of the women who came before her-their love of the language of numbers connecting them across generations. 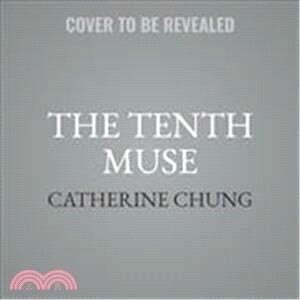 In The Tenth Muse, Catherine Chung offers a gorgeous, sweeping tale about legacy, identity, and the beautiful ways the mind can make us free.